There has been a recent rise in the popularity of electric scooters. These are basically adult kick-scooters with a motor and battery added. The speed of electric scooters ranges from below 10 mph to over 30 mph. A convenient form of mobility, they often fold up and are allowed on public transit. The noise level of an electric scooter is relatively low, air pollution is nonexistent, and the electric scooter provides easy acceleration and hill climbing. Power is provided by rechargeable batteries, which usually take less than eight hours to charge. 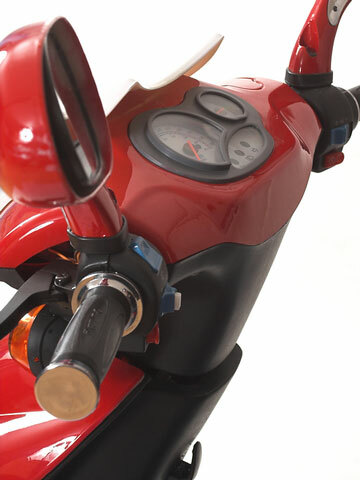 Performance of electric scooters depends on a number of factors including terrain, battery size, speed, wind conditions, tire inflation, and weight of the rider. Quality of the electric scooter also makes a difference, and cheap models and accessories should be avoided. Perhaps the two most well-known electric scooter designs are made by Segway and Razor. Segway offers a sophisticated, self-balancing electric scooter that is designed to help pedestrians go farther, travel more quickly, and carry larger payloads. Priced much higher than Razors, these Segway scooters can actually negotiate small obstacles. Segway electric scooters are popular with police and private security organizations, as well as other occupations where workers must walk long distances to carry out their duties. 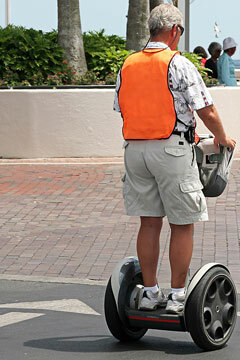 Segway models can zip along at speeds up to about 12 miles per hour. Razor offers a line of economical electric scooters that are designed for everyone from eight-year old children to adults. Some models feature seats while others do not. Top speeds range from about 10 mph to 15 mph, depending on the model. Weight limits also vary by model. On a full battery charge, a Razor electric scooter can often run for more than half an hour, perhaps 40 to 45 minutes. These innovations suggest that the scooter is being accepted as a serious mode of transportation rather than just a toy. As the price of fuel continues to rise, it will be interesting to see whether electric scooters evolve into alternative short-hop vehicles and find more commercial uses. eGO Vehicles offers energy-efficient electric motor scooters that are practical and fun. Go-Ped developed an early motorized personal transport vehicle about 20 years ago. Green Transporter offers a selection of electric scooters and electric moped vehicles. Razor features electric scooters and other vehicles designed for kids and teens. Segway offers a series of innovative electric personal transport vehicles. Pride Mobility offers a line of electric mobility scooters. 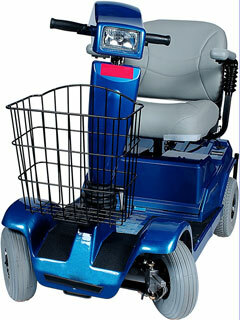 Golden Technologies offers scooters, power chairs, and lift chairs.